Stunning actress, Meghan Markle, is having a moment of spotlight since her relationship with boyfriend, Prince Harry, was announced. The actress has an enviable figure and a flawless bikini body, and she has always focused on a healthy lifestyle. Many fitness enthusiasts know that staying in shape should be backed by a dedicated workout and diet regimen. How does Markle stay in shape? What are her bikini body secrets? Markle follows a clean-eating diet plan. She likes to maintain a healthy lifestyle and has a wonderful health philosophy. She told Shape Magazine that being in shape meant feeling confident, being healthy, and owning whatever you have, and to “love yourself.” Now, that is a simple and wonderful fitness philosophy to follow. While on set, the actress likes to have green juice as it is a natural source of energy. She incorporates healthy foods that help to increase energy levels. She prefers eating clean and maintains healthy nutritional habits. She avoids food that make her feel lethargic. She includes fish and veggies in her diet plan, and treats herself on weekends with her favourite foods. Markle does not believe in food restrictions and feels that deprivation could lead to more cravings. She confesses that she is a foodie, and though she prefers to indulge in her cravings, she tries to make them more healthy. She loves fries and burgers, and tries to make it a more a healthy meal by including sweet potato fries or baked fries. She also likes to eat vegan foods occasionally, as shown in this post on Instagram. Being an actress, she knows that it is important to have radiant skin which she maintains by staying hydrated. Markle likes to include a go-to smoothie or green juice in her diet plan. She says, “Green juice is a food-as-medicine philosophy for me.” Here is a recipe of her go-to smoothie. Markle believes that if you surround yourself with people who live a healthy lifestyle, “it rubs off,” she told The Chalkboard. The actress likes to include running in her workouts. This helps her to stay in shape and also helps to clear her mind. She also includes yoga and Pilates in her workout routine. She said that she prefers training by herself and designs her own workouts by watching fitness DVDs. The DVDs include videos of the Tracy Anderson Method which she incorporates in her workout routine. Her love for yoga comes from her mother who was a yoga instructor. She likes to include an intense vinyasa yoga session in her workout regimen. Yoga gurus believe that vinyasa has both physical and mental benefits. The pose helps to release toxins and re-energizes the body, and also helps to relax the mind. The actress also posted a video of her workout on Instagram. Staying in shape and having a perfect bikini body is no magic. 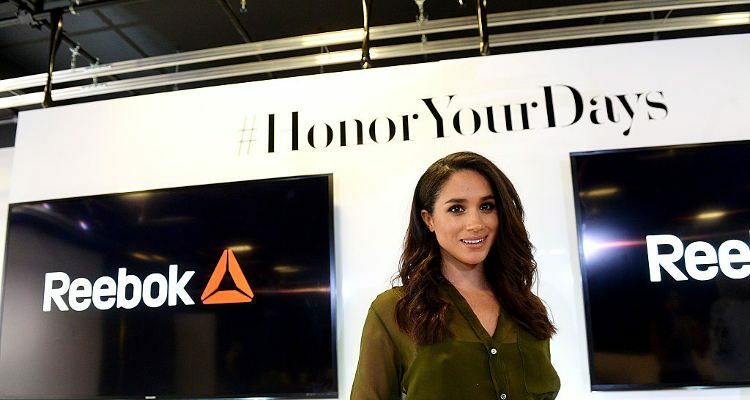 A healthy fitness philosophy like stunning actress and Prince Harry’s girlfriend, Meghan Markle, can help in an all-around healthy lifestyle. “Diet and Fitness Secrets from Suits’ Meghan Markle,” Shape web site; http://www.shape.com/celebrities/videos/diet-and-fitness-secrets-suits-meghan-markle, last accessed November 30, 2016.